There are three standard resume formats to choose from in your job search. They shape your first impression and determine the way your candidacy is viewed by recruiters and hiring managers. Your resume formatting can also determine how well your resume is parsed within an applicant tracking system (ATS) and how likely you are to be noticed as a result. The right resume format captures the recruiter or hiring manager’s attention. They may skim your resume in mere seconds, so stand out by choosing a format that places your most impactful information at the top and makes your resume easier to navigate. 1.Chronological: Classic format that lists your work experience in order, starting with the most recent. 2.Functional: Emphasizes qualifications and accomplishments instead of specific jobs, but isn’t recommended. 3.Hybrid: Modern format where skills and highlights go at the top before a detailed work history. Each resume format has a specific purpose and highlights different parts of your professional history. The chronological format is the most recognizable and traditional format for resumes. It is preferred by most recruiters and hiring managers because it requires less guesswork than other resume formats. In a chronological resume, your experience is laid out in a manner that is familiar and easy to understand. It also presents your skills in context, making it easier for a recruiter to see your career progression and development. Also referred to as “reverse-chronological,” this resume format lists your most recent experience first then works backward through time. This helps recruiters and hiring managers see your highest-level achievements and most timely experience first. For example, in a chronological resume’s education section, a master’s degree would be listed above a bachelor’s degree because it was earned more recently. The chronological resume format accommodates most industries. It emphasizes the where and when of your employment history more than other resume formats. Its straightforward layout also makes it the easiest format for recruiters and hiring managers to digest. This is beneficial as recruiters rarely take extra time to hunt for information. If they can’t locate the required skills and experience immediately, they might move on to the next applicant. 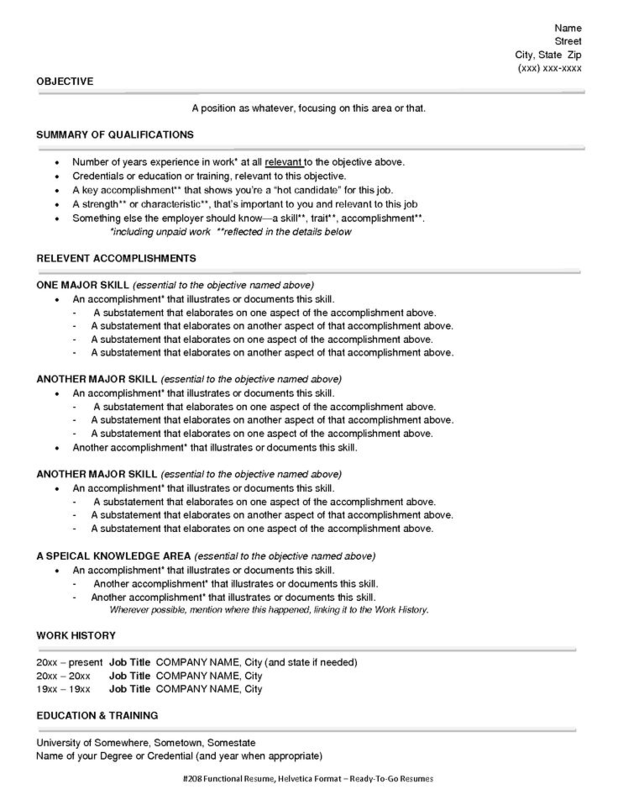 Resume template and content from ResumeGenius. Contact Information: Your contact information should go at the top of your chronological resume. Include your name, phone number, email address, location (city, state, and zip code), and LinkedIn profile URL. Make it easy for recruiters to contact you for an interview. Use the same formatting style for each new listing. For example, if your start and end dates are “04/2014-09/2016” on one job, don’t switch to “May 2012 through January 2014” on another. If you’ve had promotions, make them clear in this section. There are different ways to format your promotions. High school experience is not typically required on a resume unless you have recently graduated. Focus on collegiate experience if applicable. If you are a recent graduate or in a field that puts a greater emphasis on higher education (like legal or medical), move your education section above your work experience. Recent grads can also expand this section to include GPA (if it’s above 3.5), relevant coursework, extracurriculars, and other information a recruiter might find valuable. The functional resume format offers creative solutions for job seekers whose experience isn’t best represented by a traditional format. In fact, the functional resume format is essentially the opposite of the chronological. On a functional resume, work history is listed without elaboration at the very bottom of the resume. Instead of focusing on specific jobs, this format offers expanded sections for qualifications, skills, and accomplishments. These sections are flexible and can be mixed and matched based on your work history and preferences. Job seekers with large gaps in their work history tend to like the functional resume format because it minimizes work experience. Career changers like this format because it allows them to focus more on transferable skills rather than less relevant companies and job titles. However, some recruiters dislike the functional resume format because it takes skills out of context. Furthermore, ATS are unlikely to accurately parse this format because it doesn’t categorize information under standard headings. A functional resume format could do more harm than good for your job search. Only use this format if you haven’t had success with the chronological or hybrid formats. Because recruiters see this format as a way to hide shortcomings, work extra hard to make sure your skills and accomplishments are communicated clearly and in context. Contact Information: This is the same regardless of which resume format you choose. Include your name, phone number, email address, location (city, state, and zip code), and LinkedIn profile URL. Qualifications: Rather than detailing your work history job by job, this section allows you to cherry pick and combine experiences to paint a clearer picture of your qualifications. Think about the projects you completed, certifications you earned, or the teams you’ve contributed to that address each requirement listed in the job description. Ask yourself, “What life experiences have made me especially qualified for this job?” and “What projects have I worked on that best represent my abilities?” Use specific examples and context to add credibility to your claims. Skills: Skills are tools you have developed and honed over the years. Skills can be broad, like “accounting,” or niche, like a proficiency with specialized software in your field. A skills section on your resume can help a recruiter or hiring manager get an idea of what you have to offer. It can also provide you an easy way to optimize for ATS by matching the resume keywords found in the job description. That said, remember that simply listing hard skills and soft skills isn’t enough to convince recruiters and hiring managers. You need to provide context for your listed skills further down in your resume-- where did you acquire the skill, how many years experience, etc. Additional Sections: The functional resume format can be customized with other sections, like Achievements, Awards and Honors, Testimonials, Volunteer Experience, or other information that will strengthen your application. Professional Experience: List each position’s company name, job location (city, state), job title, and start and end dates in reverse-chronological order. You do not need to provide job duties or accomplishments between each job. Education: New graduates can swap this section with Professional Experience. Include the name of the institution, degree, school location, and years attended for each degree in reverse-chronological order. The hybrid resume format, also known as the combination or combined resume format, has grown in popularity to the point where many job seekers don’t even realize they’re using one. Hybrid resumes combine the best elements of the other two resume formats into something that is practical yet customizable. With a hybrid resume format, you can highlight skills and accomplishments at the top while still using a chronological format to detail your career trajectory. This format is highly flexible and can take many forms based on your preferences. Contact information: Include your name, phone number, email address, location (city, state, and zip code), and LinkedIn profile URL as you would with the other resume formats. Summary Statement: A summary statement is your first opportunity to explain your strongest experience, accomplishments, and skills. It distills your entire resume into a short, easy-to-read blurb for the recruiter or hiring manager. Summaries can be especially helpful for career changers who need a place to explain a shift in career trajectory. Skills: As mentioned earlier, this section helps get your resume through ATS by listing relevant skills and resume keywords. Compare your resume with the job posting to make sure you are matching all the most important keywords. Use Jobscan to ensure you don’t miss any. Under each position, summarize the skills, accomplishments, and experience that is relevant to the job description. If you used a skills section, add credibility to those skills by showing when and where you developed and used them. Education: Again, list your education in reverse-chronological order with the most recent degree first. 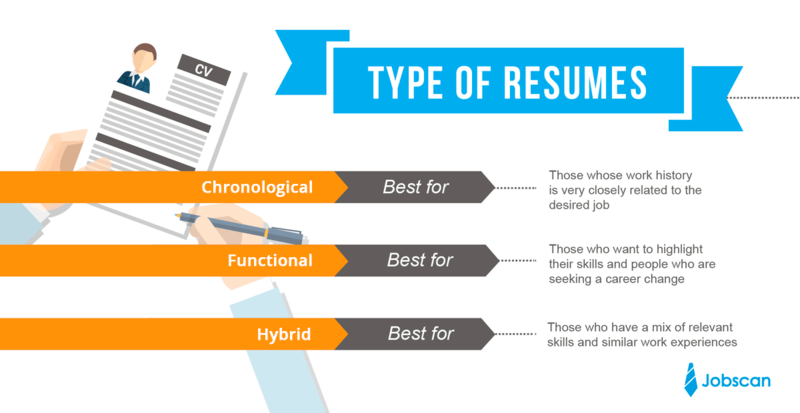 Choosing the right resume format for you is very important. Different resume formats allow you to choose which professional attributes to highlight. This influences how a recruiter or hiring manager will judge your qualifications. In order to choose your resume format, start by evaluating your career history and future goals. The chronological format works for most people on a traditional career path. If you have been in the same industry for most of your career and you are applying for another job within that space, this is a safe option. This format works best if you have no major gaps in employment and your work history speaks for itself in terms of growth and promotions. The hybrid resume format offers similar benefits but more flexibility than the chronological format. As such, it’s a great resume format for most job seekers. It’s an especially good option if you have skills that were developed outside of your professional experience, have minor gaps in your experience, or are changing careers. 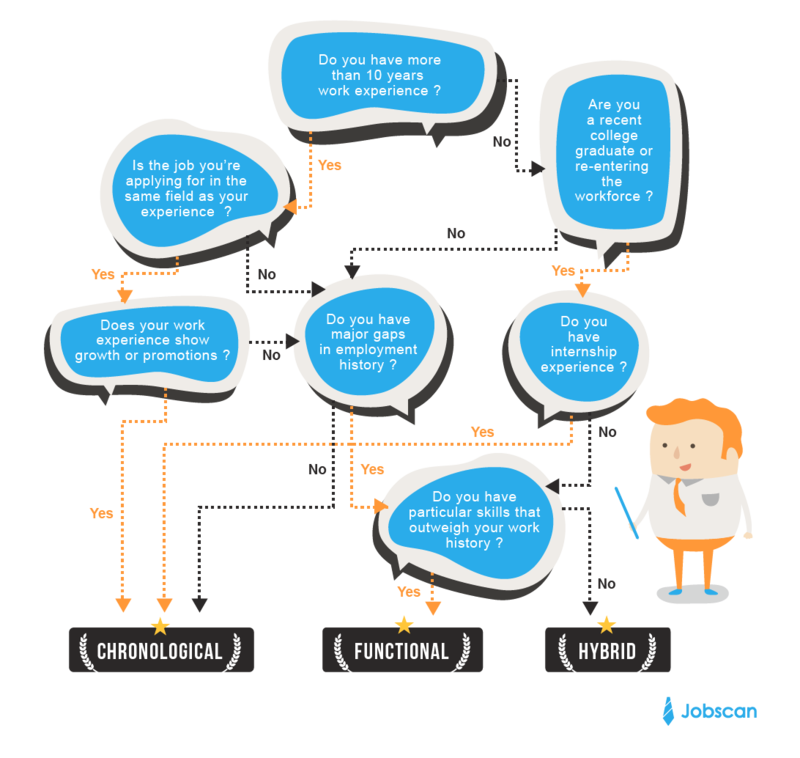 The functional resume format is worth a try if you haven’t found success with the chronological or hybrid resume formats. It can also be a good option for new graduates with no work experience or someone reentering the workforce after taking time off. The rise of online job applications has caused employers to receive more applicants than they can handle. This has resulted in most companies using applicant tracking systems (ATS), a tool that can rank, filter, and sort applicants. Most ATS work by parsing resumes and allowing the recruiter to search by keyword to see a list of top-ranking candidates. This means that without the right skills and keywords, your resume might not even been seen. Choosing the correct keywords is essential to making it through ATS. Include your city, state, and zip code. Recruiters often search for local candidates first. You might not come up as a search result if you don’t include your location. 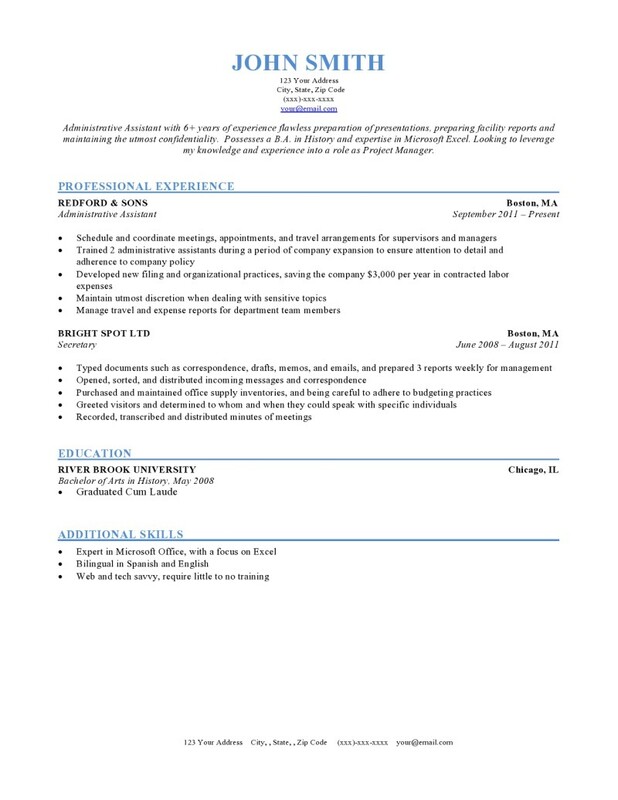 Some ATS create a digital applicant profile based on your resume. To do this, they pull information from different parts of your resume. Use straightforward section headings to ensure that it knows where to find crucial information. For example: “Professional Experience,” “Education,” etc. Our ATS research has found that your work experience information should be formatted in this order for maximum ATS compatibility: Company name, job location (city, state), your job title, start and end dates. File types: The .docx format parses most accurately in top ATS, even better than .pdf. Whichever resume format you choose, you’ll get more job interviews if you tailor your resume content to the specific job description. Do this for every job application. You can also edit your formatted resume by using Jobscan's Power Edit feature. Instead of going back and forth between your resume document and the Jobscan match report, Power Edit allows you to edit your formatted resume directly and watch your score increase in real-time. 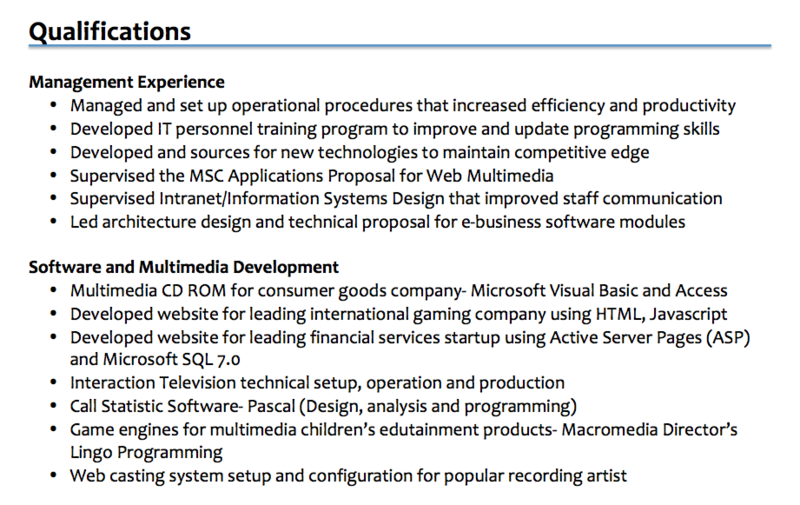 You should not consider your resume complete until it is fully optimized for each specific job. You will spend more time on each job application, but the time spent will shorten your job search overall. With the correct resume format and optimization, you can apply for fewer jobs but have a better chance of landing an interview. Forbes: Is a Functional Resume Format Ever the Best Choice?